Local celebrity Neelofa is not only a well-known host and actress, but she’s also a very successful businesswoman with a huge following on social media. Her Instagram definitely shows that she’s living her best life. Now, the 29-year-old’s latest series of posts have been documenting her most recent adventure overseas, and it’s in none other than at The Maldives. What’s perhaps the most interesting part though, is the resort she’s staying at, because it has a villa and restaurant that are completely underwater! 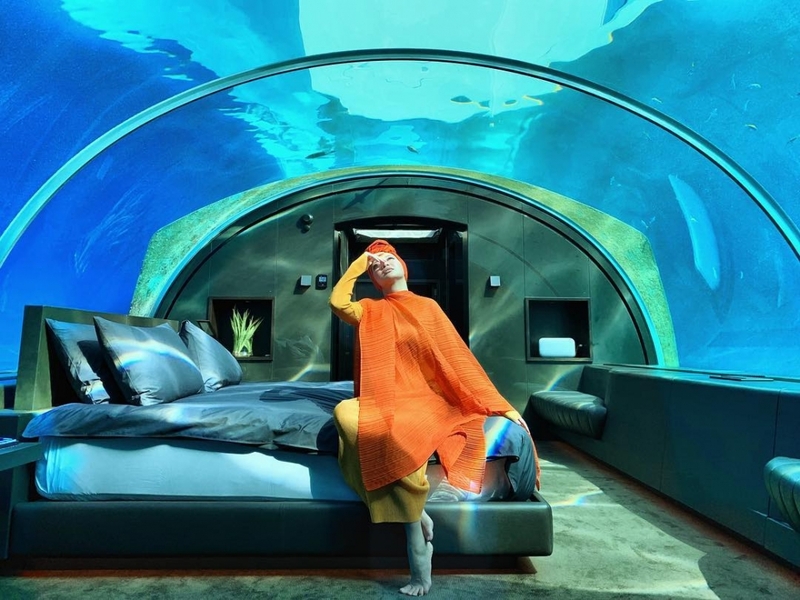 According to her Instagram post, Neelofa is staying at the Conrad Maldives Rangali Island resort, which is set to officially open in November. She’s also reportedly the third person in the entire world to experience a stay at this luxurious hotel so far. Besides having an underwater villa, guests also have access to a 24-hour butler service and their very own private boat that can take them anywhere on the island. Despite the luxurious, out-of-this-world events and trips Neelofa gets to experience, she remains grateful and humble. What do you think of this insanely expensive resort? Would you book a stay if you ever had the chance?